History repeats itself, so the saying goes. 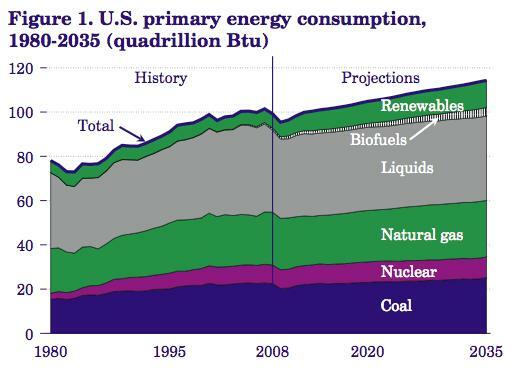 If so, energy technology predictions would be easy to make. However, given the difficulty of predicting next year’s fashion trends, let alone the technologies that will power the world for the next few decades, there’s more work to be done. style="text-decoration: underline;">Energy modelers and forecasters have choices that include rules-based, trend-based and constraint-based approaches. Which one is the most appropriate? In general, there are two well-known rules concerning technology improvement. The first is that of Theodore Wright from1936: cost diminishes as a power law of cumulative production. The second is Moore’s law: technologies improve exponentially with time. These laws apply to energy technologies as well. Although this would suggest that the (sustainable) energy technology that is currently in the lead will tend to stay in the lead, the ‘Henry Ford’ effect cannot be ignored either. Henry Ford ushered in the automobile era not by responding to market requirements with mass production, but by understanding that mass production would allow such a market to be created. An entrepreneur with similar ideas might for example invert the current pecking order between sun, wind and tidal technologies. Not Much New Under the Sun? While innovative and ecologically friendly energy technology is in the news, observers also point out that most energy technology is the same as it was in the 1980s or even earlier – like the 19th century. Coal-fired power plants still produce electricity, flanked by other fossil fuel powered technologies. With so much investment already made, so many old-style central stations still cranking out power, what are the chances of green energy sources seizing the bigger part of the market in the near future? On the other hand, in this technology-driven world, new forms of energy technology are continually being presented. Low Energy Nuclear Reaction (LENR) is one that has been gaining in awareness. Attracting supporters and critics alike, this ‘cold fusion’ energy technology as it also called is currently billed as the solution for global climate and energy problems, not to mention space travel. The recipe in its simplest form is to merge hydrogen with nickel to produce copper and energy. Devices using LENR could be installed in homes all over the world claim its fans – a far cry from wind turbine farms. If governments say it’s going to be one energy technology rather than another, then the models and predictions change again. And of course, they don’t have to make laws about it either – tax incentives and grants go a long way to helping people make up their minds. But then why not go a step further and take the sage advice of Alan Kay who said ‘The Best Way to Predict the Future is to invent it’. Combine this with Henry Ford’s approach and your model for energy technology prediction may no longer need to say which technology it is, but just how much money you might make with it. If you’d like to know how Analytica, the modeling software from Lumina, can help you model predictions of all sorts, then try a thirty day free evaluation of Analytica to see what it can do for you.